Easy to use screen recorder creates compact, high quality movies for tutorials, demos and presentations. 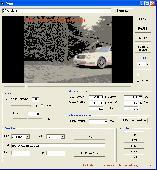 Add text, images, sound and commentary before exporting to Flash, AVI, WMV, PPT or EXE formats. Minimal impact on PC performance.